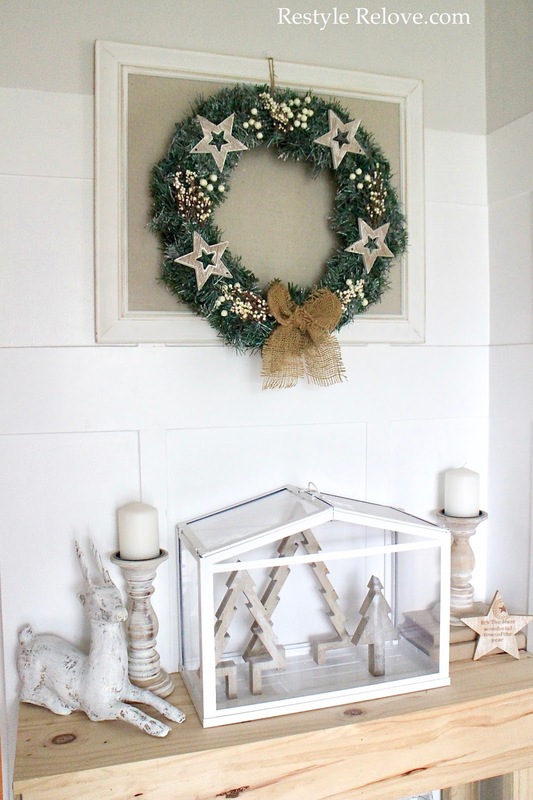 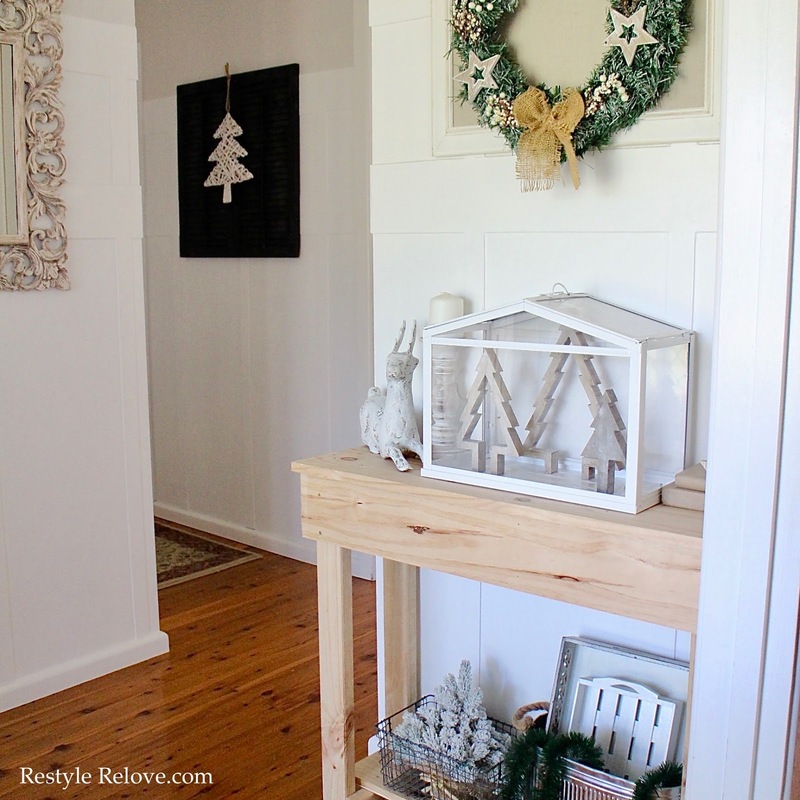 Welcome to my Christmas entryway! 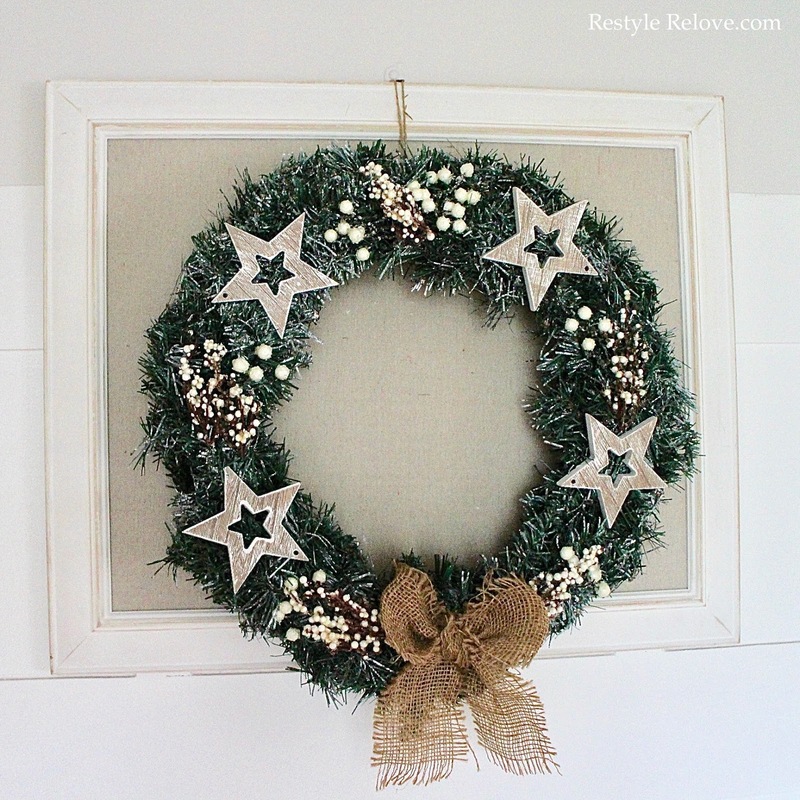 The wreath was something new I made this year, recycling an old wreath and some white berries and sprigs. 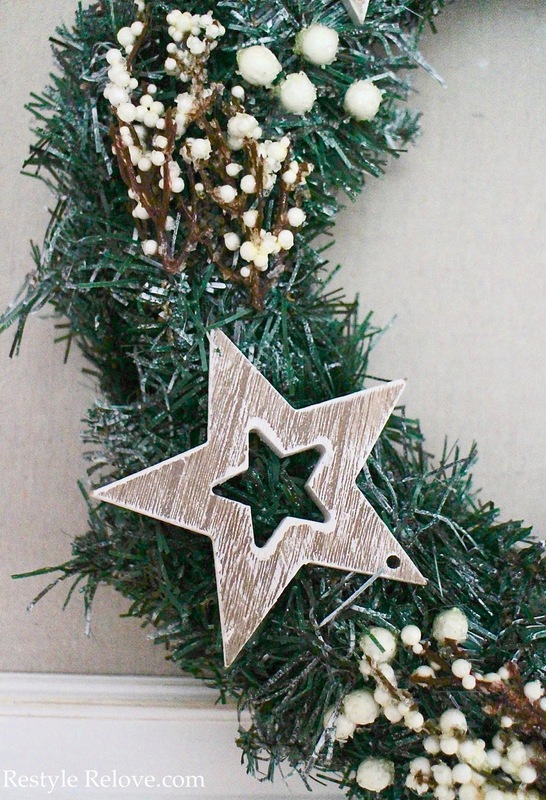 The wooden stars were a new purchase. 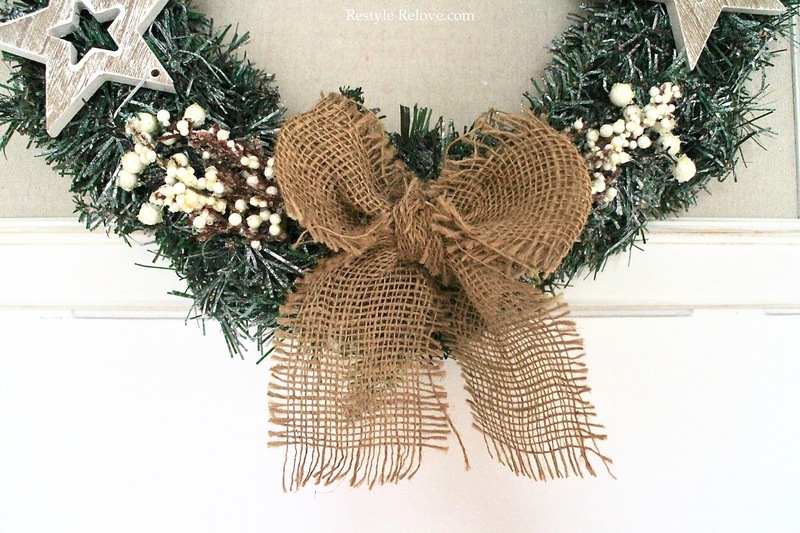 And it all came together with a burlap bow. 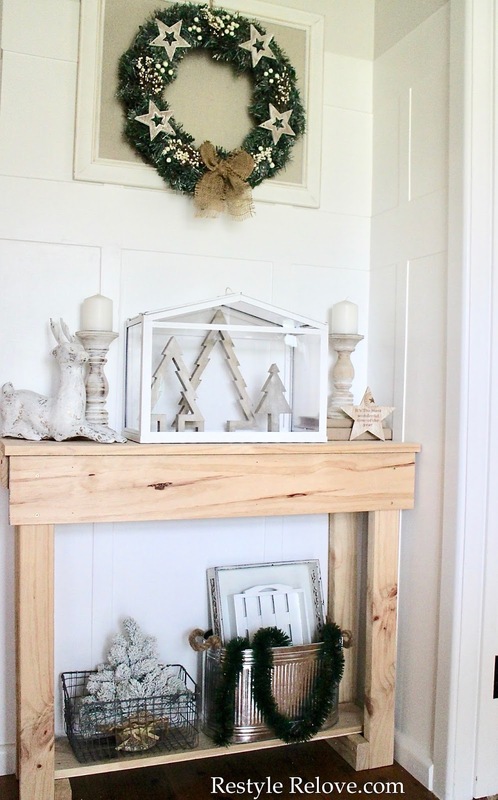 I wanted to add a lot of wood into my displays this year. 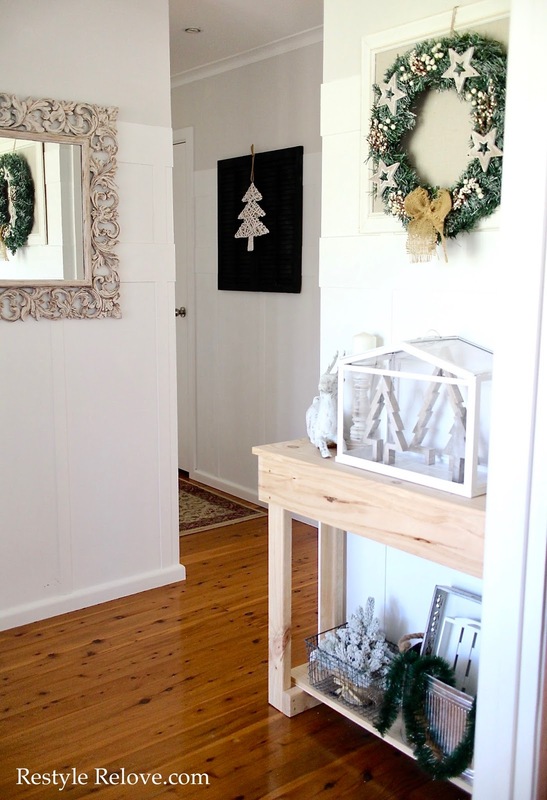 So for my hall table, I kept my wooden candle pillars. 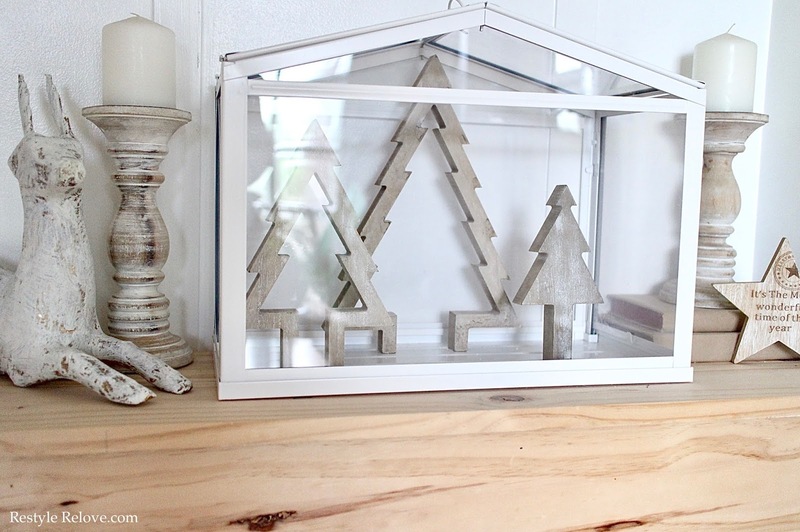 I found these cute wooden trees at Kmart which fit perfectly into my Ikea terrarium. 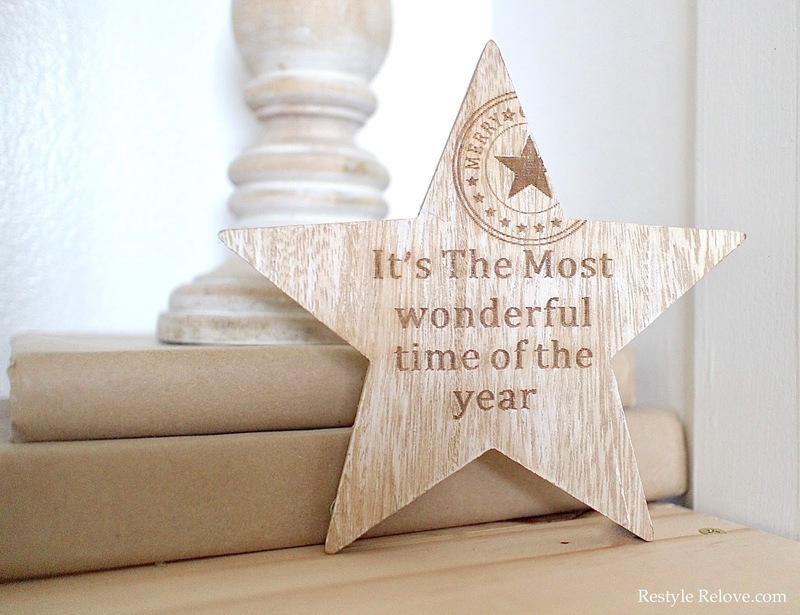 The wooden star I purchased last year. 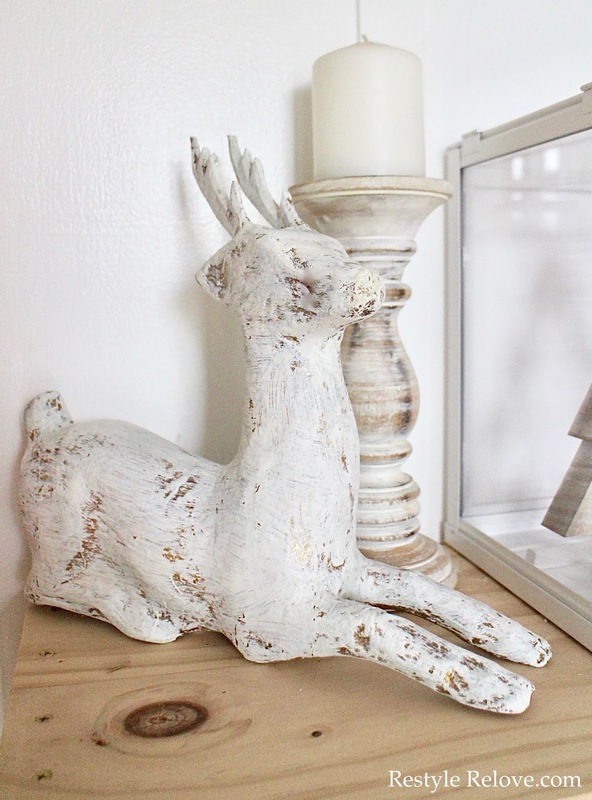 I also added a papermache reindeer. 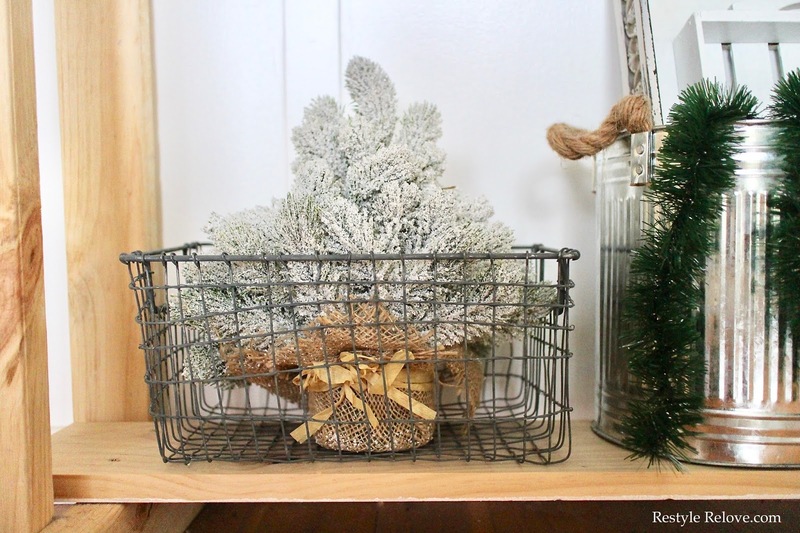 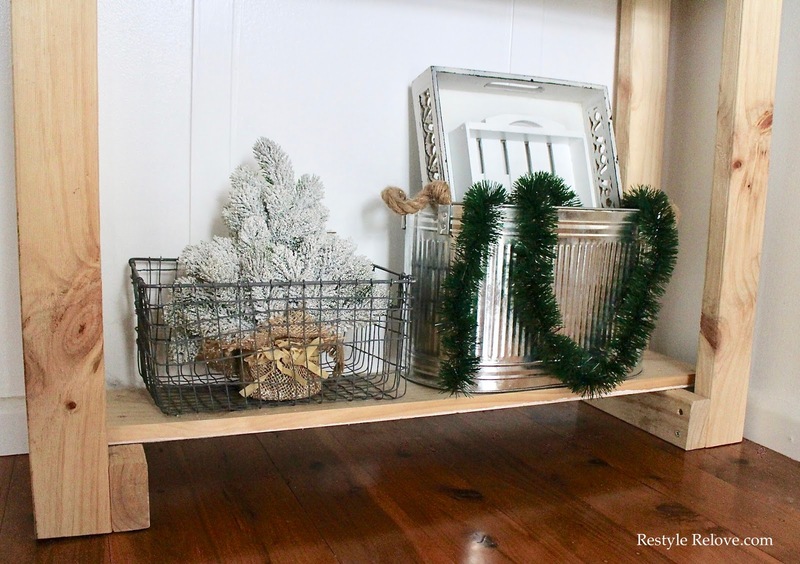 On the bottom shelf, I added a small flocked burlap wrapped tree to my wire basket, and a garland of green tinsel. 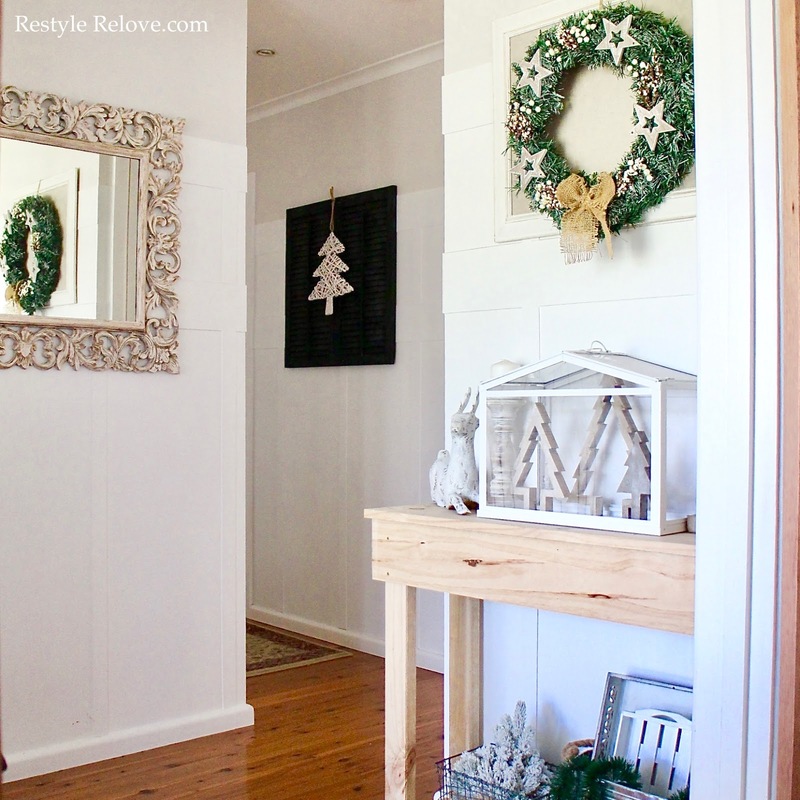 And down the hallway I added some white cane Christmas trees to my black shutters.